It' s finally friday, yay!! 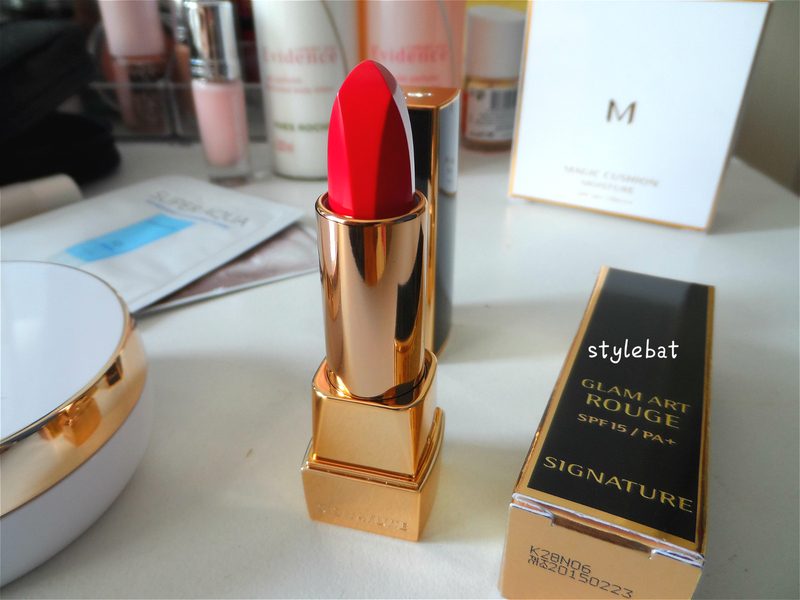 Today i will review missha glam art rouge in colour srd705. I really wish they gave names instead of codes for different shades, oh well. It comes with a black packaging. When i order this one there was also a pink option as well and of course i' ve choose that one but instead they' ve send me the black one which wasn' t a very nice thing.. 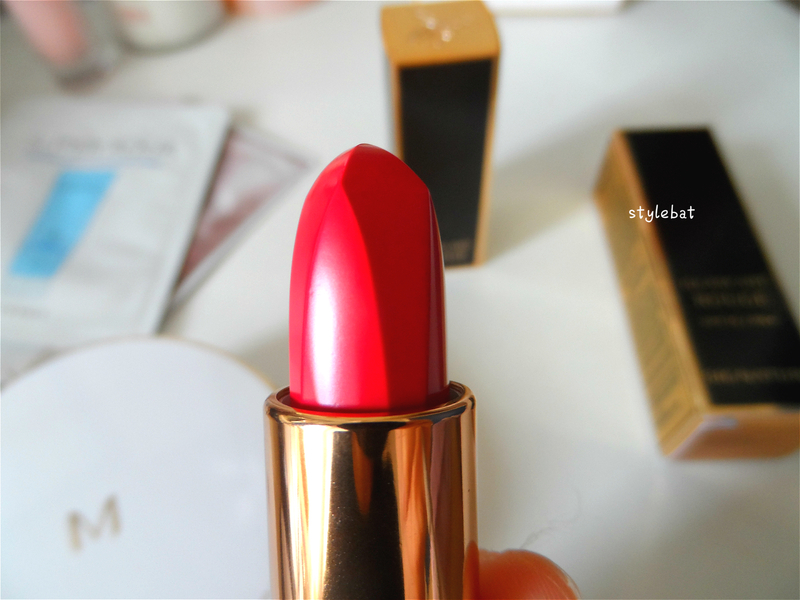 I don' t remember any lipstick which comes with this shape, thought its interesting and pretty, what do you think? 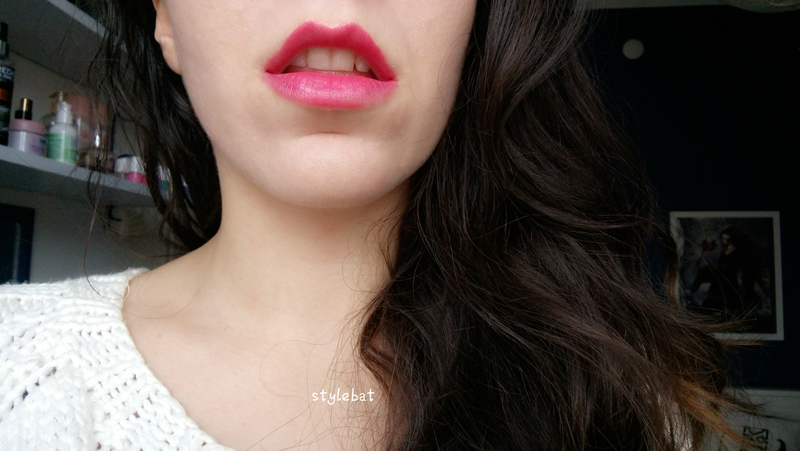 It' s definetly not drying on the lips but at the same time colour fades away from your lips easily if you eat or drink smt. But if you don't surprisingly it stays for hours.. 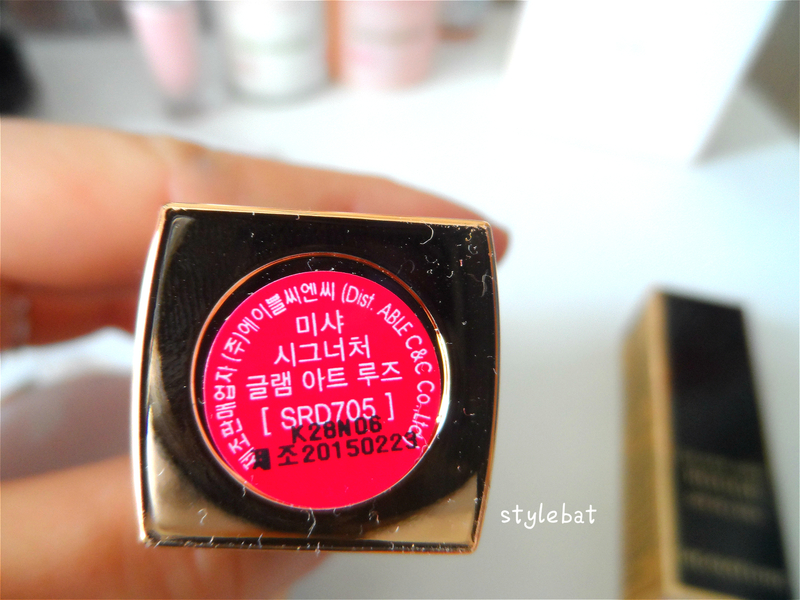 I think the shade is really pretty and rare.. Its smt between pink and red. And here i' ve taken some photograps so you can see on my lips. (excuse my hair :'D ) Tho. 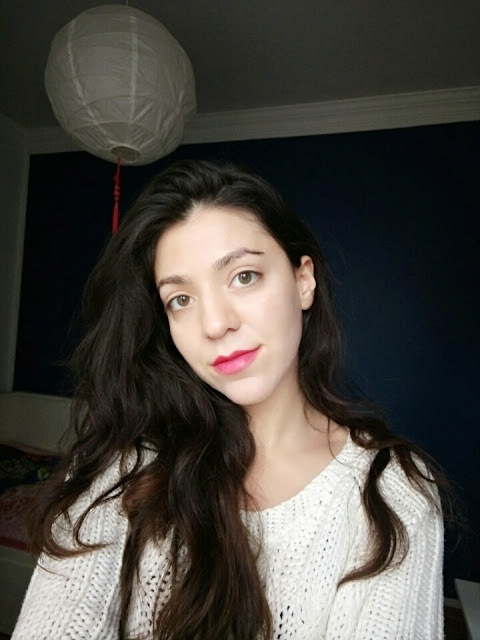 i already have a strong natural lip colour, so if you have paler lips, this will look more strong and pretty on your lips. 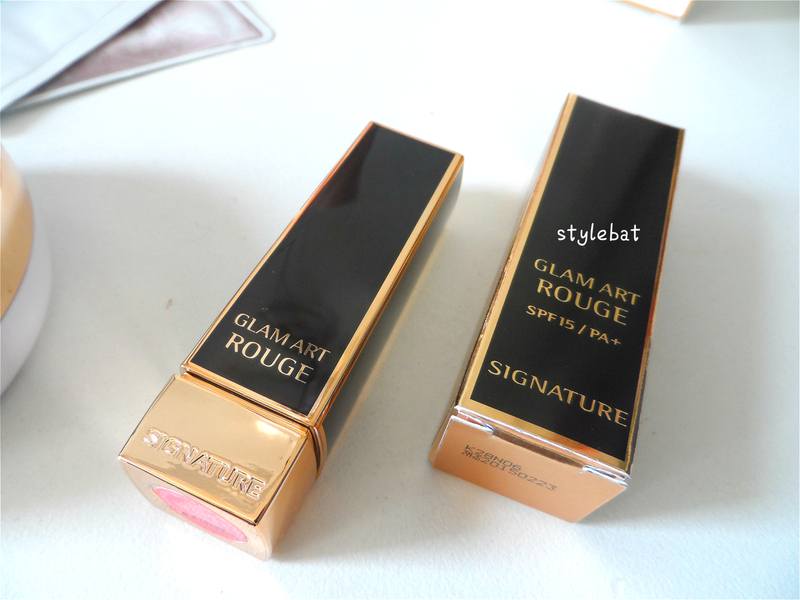 At the end i really like this lipstick but can't see myself buying another from this serie again since its nothing special except the colour. But i am really interested to try liquid lipsticks from missha.. Can you recommend me some lippies from missha that you like?